Sandy and I wanted to take a moment to send you and your families a heartfelt personal note of thanks for your ongoing participation in the Bargaining Forward movement. This Sunday, September 23rd, we finished touring the province for the Bargaining Forward presentations in our towns and communities. We visited 13 communities and towns, delivered 24 presentations in less than 3 weeks. Thousands of members attended these meetings and left energized, engaged and confident that our solidarity and resolve can take us to unforeseen gains. This would not have been possible without all the volunteers, the Regional Action committee members, the staff and others who helped with the meetings. While we are certainly exhausted, Sandy and I are, however, deeply reinvigorated by this tour. Members welcomed us in their communities with open arms and reminded us how truly beautiful our province is. We had the opportunity to see in person how CUPE workers, through hard work and dedication, truly hold our communities together. This is what we fight and stand for. We appreciate all the feedback and comments we received from you during the tour. All constructive criticism helps grow our union and leaders and helps to move our movement forward. The energy we have seen throughout the membership is unprecedented. 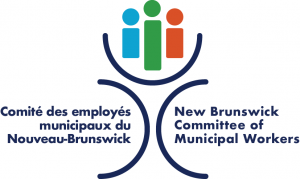 CUPE NB hasn’t seen this in decades. We can’t stop now, and we need to put this energy to good use. Your leadership and staff will be planning the next phase of the Bargaining Forward movement. We will continue to update you throughout the process. All updates, including this one, will be posted on our CUPE NB website and will be sent to all local executives for distribution. We appreciate your solidarity and support. It is essential for our bargaining committees and general membership to retain their resolve, drive and determination to take on the tasks before them. Continue to proudly display your signs, magnets and pins. Continue all the social media shares and actions. The movement has just begun.